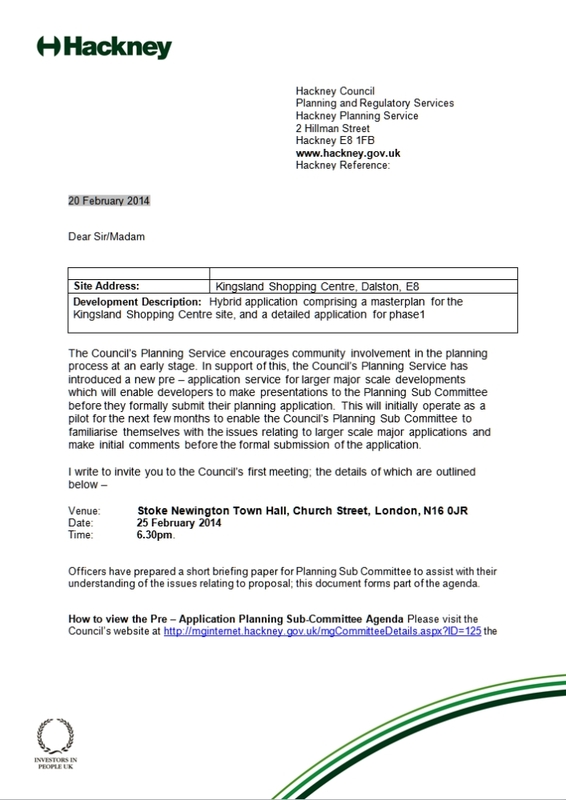 After a number of recent queries regarding the status of the playground I have been in touch with Dalston Town Centre Manager Cory Defoe for an update. There has been some delay in getting confirmation that the pieces residents voted for are suitable for the constraints of the site, and a quote for their supply and installation (apologies from the supplier), but Cory is on the case and will keep us informed of progress. 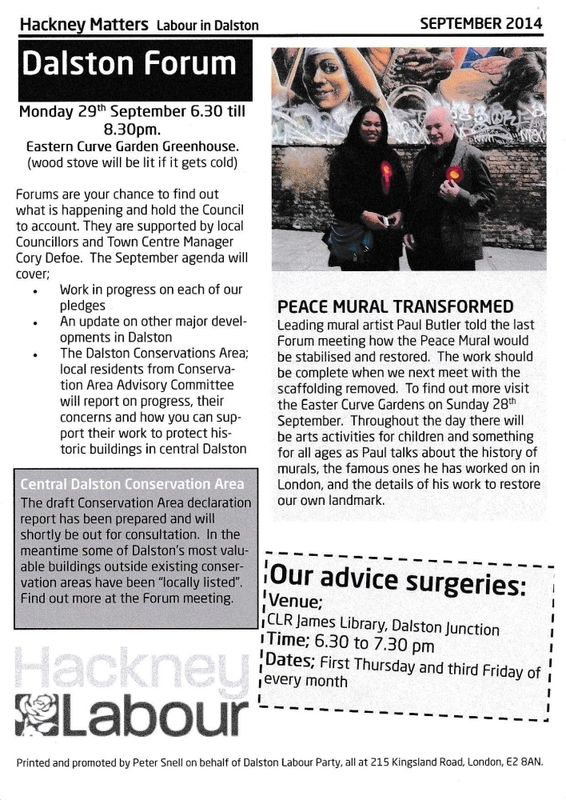 Those of you who follow local politics may be interested to know that our 2 elected ward councillors (Peter Snell & Soraya Adejare of the Labour party were the winners of last May’s local elections), are holding their September Forum in the Eastern Curve Garden greenhouse this coming Monday (29th September). 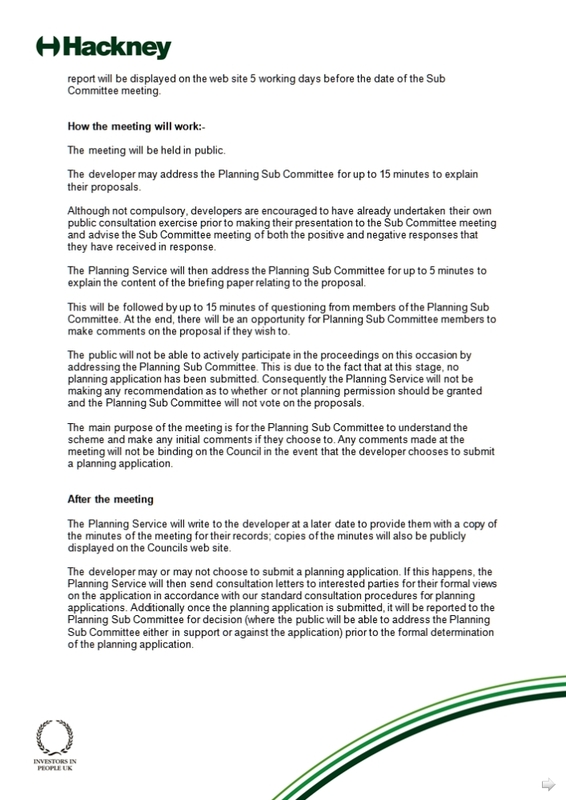 Planned to run from 6.30pm to 8.30pm this Forum is local residents’ chance to hear what is happening, and to hold the council to account. 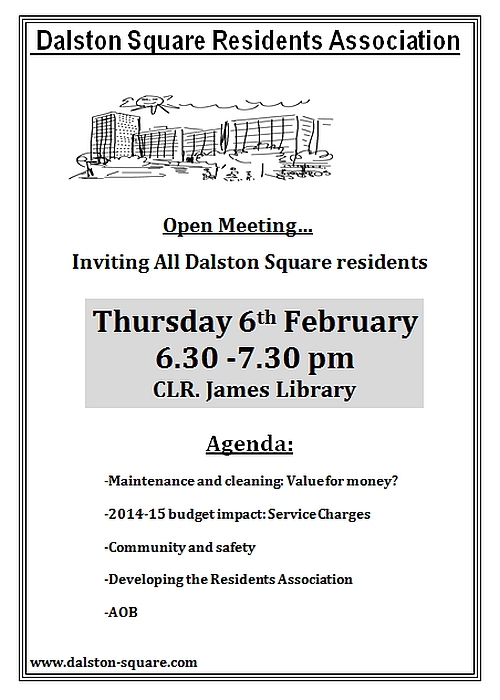 The agenda for this meeting will cover i) Work in progress on pre-election pledges ii) An update on other major developments in Dalston iii) The Dalston Conservations Area (members of the Conservation Area Advisory Committee will report on progress, their concerns, and how you can support their work to protect historic buildings in central Dalston). Forum meetings are open to all members of the public. 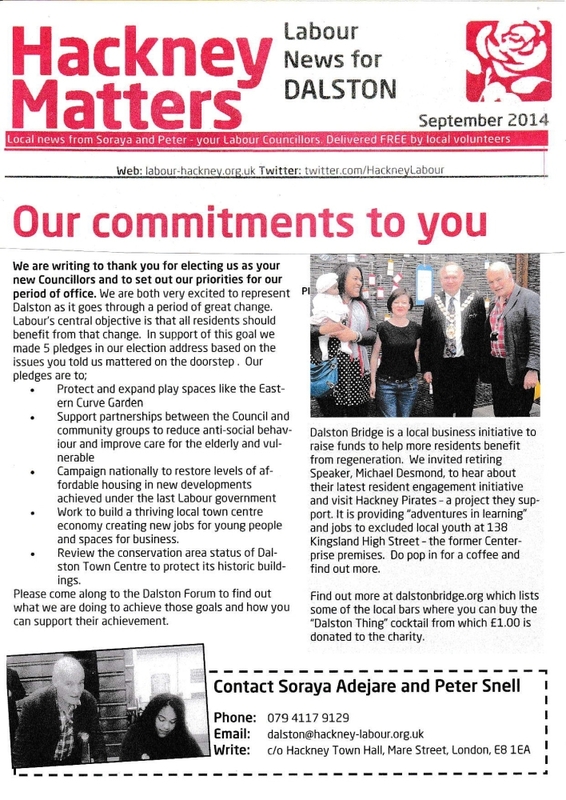 The 2 pages of Hackney Matters, a publication produced by Peter Snell, can be found at the foot of this posting: Simply click on each thumbnail for the full-size image. 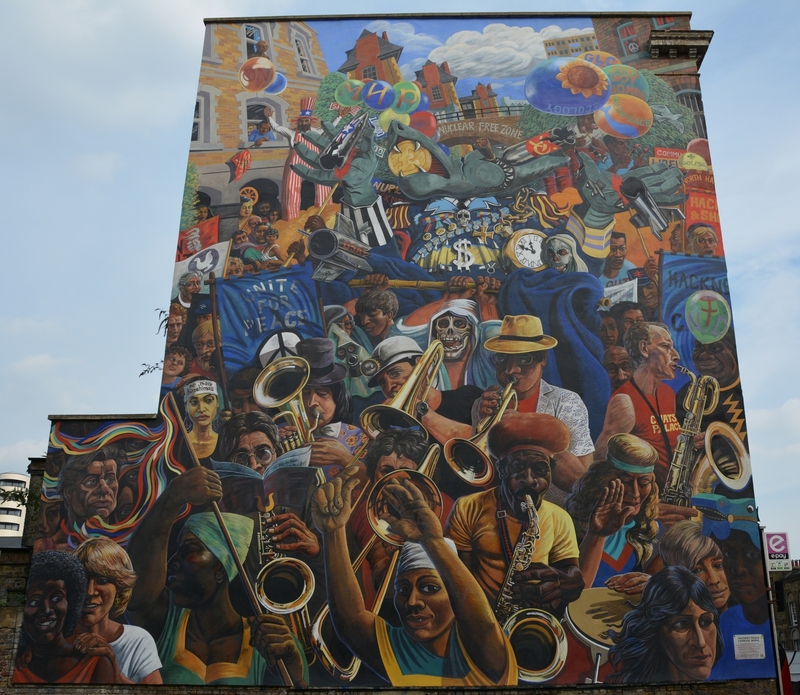 Speaking of historic buildings and the Eastern Curve Garden, how fabulous is the newly renovated Hackney Peace Carnival Mural? 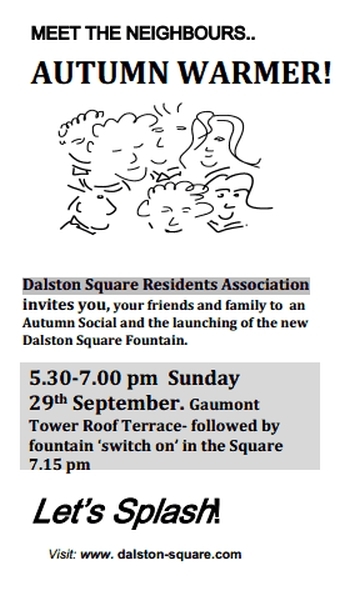 To celebrate the completion of the work and removal of the scaffold the Eastern Curve Garden are holding a free party this coming Sunday (28th September) from 2pm to 10pm. There will be music from local musicians, talks with the mural artists, a children’s art workshop, and food from the People’s Kitchen. 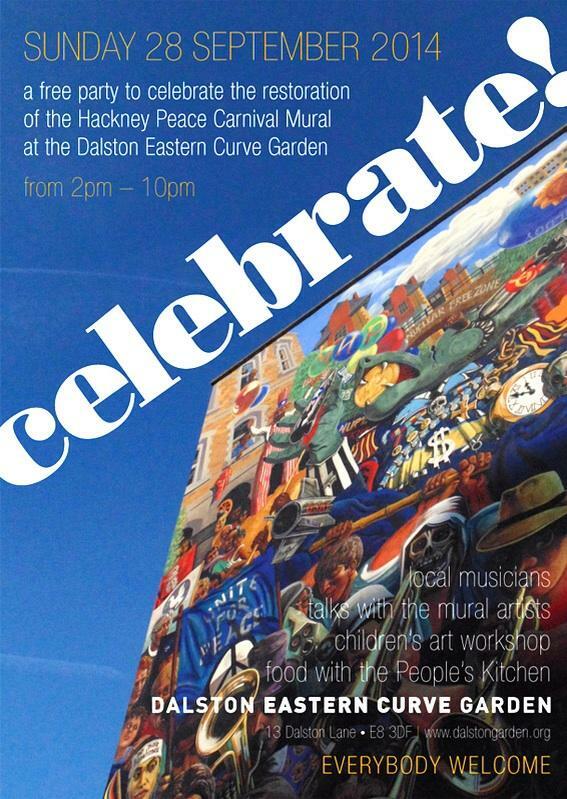 The thumbnails below include their party advertising poster plus my own photo of the beautifully renovated mural. And whilst on the subject of art, look out for the new window graphics that will be going up at Smooth You (the beauty and health spa here in the square) later today. 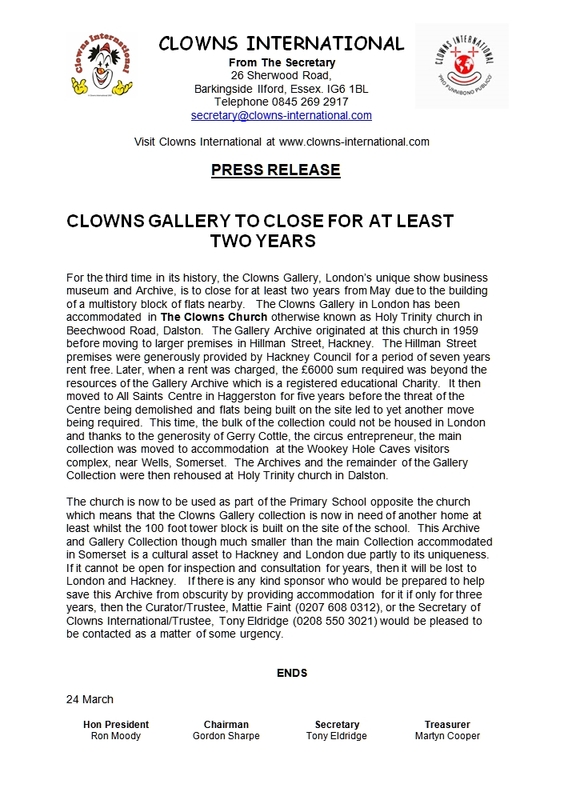 The existing advertising graphics have not been loved by Dalston Square residents and were never meant to be long-term: They were only ever a brash, eye catching advertising statement to promote a new business. Smooth You founder/owner Patrick and Managing Director Katie were looking for something that both better represented the company image and gave something to the community so, working with Dalston Square resident and graphic designer & artist Stephen Humphries (who has recently started his own business so if you are in need of such services…. ), and illustrator Christina K., they have created a bespoke piece of art to ‘tell a story’. Katie tells me the plan is to renew the graphic each year to keep it ‘fresh’ so if you like what they are doing, why not pop your head in the door when passing and let them know what you think. Thanks to everyone who sent in their ‘Yes Please’ email to claim the 2 tickets for tomorrow’s ‘Brunch With The Guide’ event (and, of course, again to Judith for sharing them in the first place). 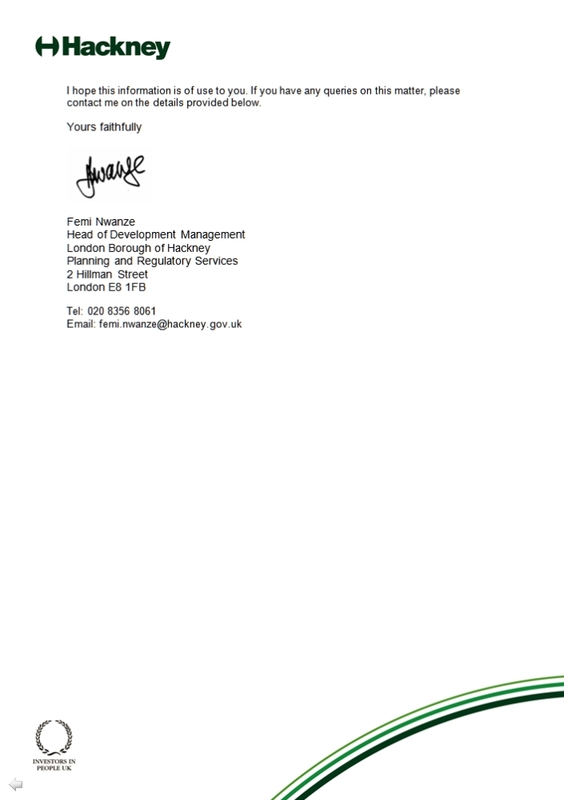 The lucky winner was Dalston Square resident Louise (Louise, please check your email). For fellow geeks who may be interested, I used an online, range definable, RNG to select the recipient. Unlike many such generators that use pseudo-random number algorithms, THESE guys use atmospheric noise to create randomness: Very cool.